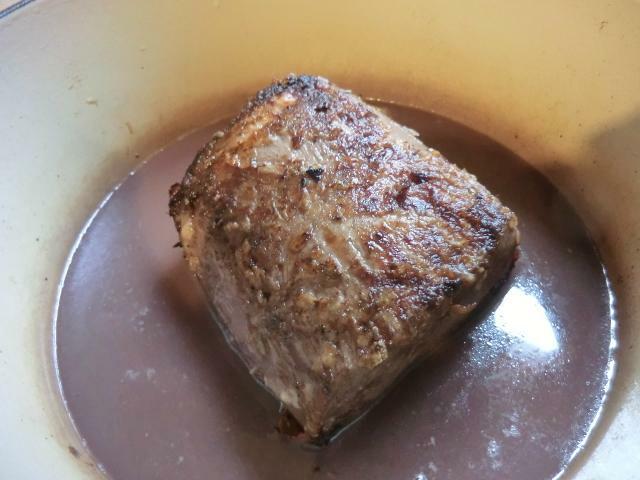 Sauerbraten at Last | Cooking is Fun … Really!! Get well soon. I hope recovery from your illness and the snow isn’t too far away. Thank you. I wrote this last Monday and I’m still coughing. Last night I slept for 12 hrs. The snow we got last weekend was washed away from the sidewalks by some rain on Tuesday … though there’s still snow on the grass. And it’s COLD so the thawed snow in the alleys has frozen into icy ruts. It’s not fun. Today the forecast for Canberra is 40 °C. In Adelaide yesterday it was 46.6 °C. Still, I prefer the summer warmth than the winter cold. It is. But better than being cold. Feel better, dear friend, and get rid of that cough! This is like so totally not my great-grandmother’s recipe, but it’s interesting nonetheless. LOL … It was an interesting recipe. I’m not sure I’d ever make it again but it was ok. I am sure it was more than ok, but it’s a matter of taste. I think that the regular pot roast I make with carrots, potatoes and beef stock is a lot simpler and more satisfying on the whole. 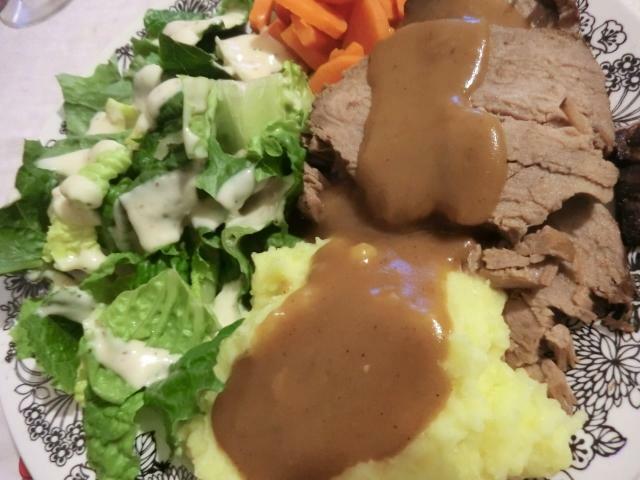 I’m curious as to what ingredients or technique that you use in your own sauerbraten now that I’ve posted the version that I used. 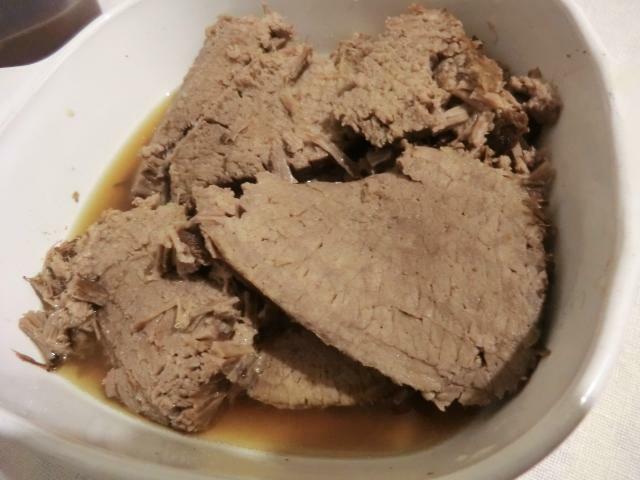 Well, if you take sauerkraut and bratwurst, you get sauerbraten. So you drain and rinse sauerkraut and saute it with onions and tomato sauce (i make my own sauce from fresh tomatoes), then you add bratwurst cut into bite size chunks, some parsley and/or cilantro, and saute it together. Nice and easy, and very good. I see. I’m guessing that the cabbage and red wine vinegar are the substitutions for the sauerkraut in the recipe. There were no tomatoes in this version. The bratwurst sausages sound tasty. Thank you. There is no bread, though, but we used to soak rye bread in the sauce, as I remember. 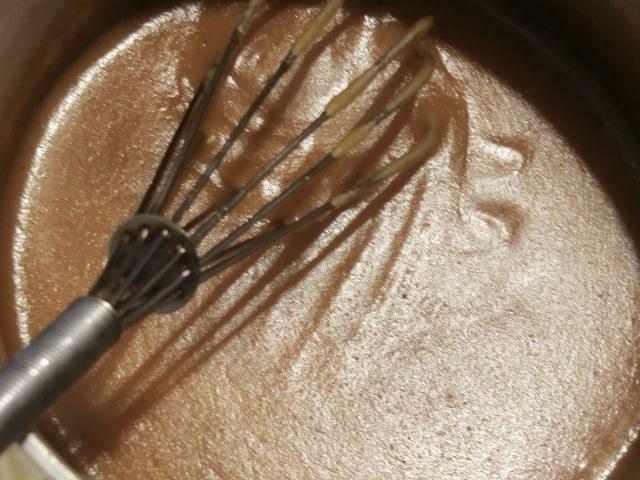 I’ve never thought about putting gingersnaps into a gravy, it must have made a very unique flavour and creamy texture. I sure hope you feel better soon. I too have been battling a cold, I think! It only came out when we were descending from the trip to Mexico last weekend and my ears squeaked like crazy and boy did they hurt! I sure hope it goes away soon, ears can be very painful. The flour in the cookies make them thicken and the ginger and other spices give it a lovely back note of flavour. PS: Sorry to hear about your painful ears. It sounds miserable. I have to say that your recipe is pretty true to what you would get in Germany. I’m sorry to hear that you are not well. It sounds like we might be suffering from similar illnesses. I’ve been to the doctor and she said the cough could linger for weeks. I’m a lot better and hope you will be soon. Thank you Karen. I tried to research the recipe to find something as authentic as possible. I hate this stupid cough. I’m glad you’re doing better. I hope the diagnosis is accurate cause I’m pretty tired of it all. Thank you, I did. It was a nice dish though long gone now. PS: Still got a bit of that cough and the bitter cold outside (-15 deg F/feels colder with the wind chill) isn’t helping. Luckily I managed to shovel the snow that fell on Monday before the Wed/Thur deep freeze.